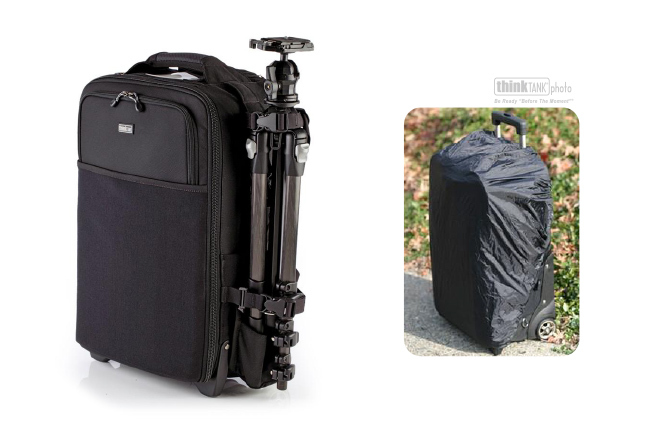 This rolling camera bag converts into a backpack and meets international carry-on requirements. As a backpack, it's comfortable to wear even for extended periods of time. 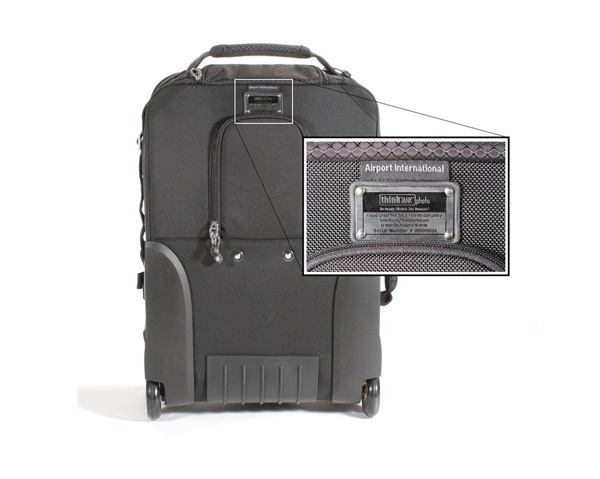 While it's the same size externally as the Airport International V2.0, the carrying capacity is slightly less to make room for the backpack strap system. 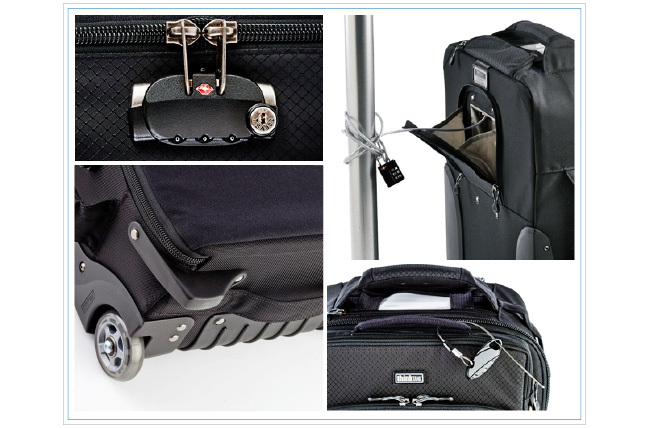 Designed for International and domestic carry-on, you'll appreciate this roller bag's advanced security features, even when you're not flying. 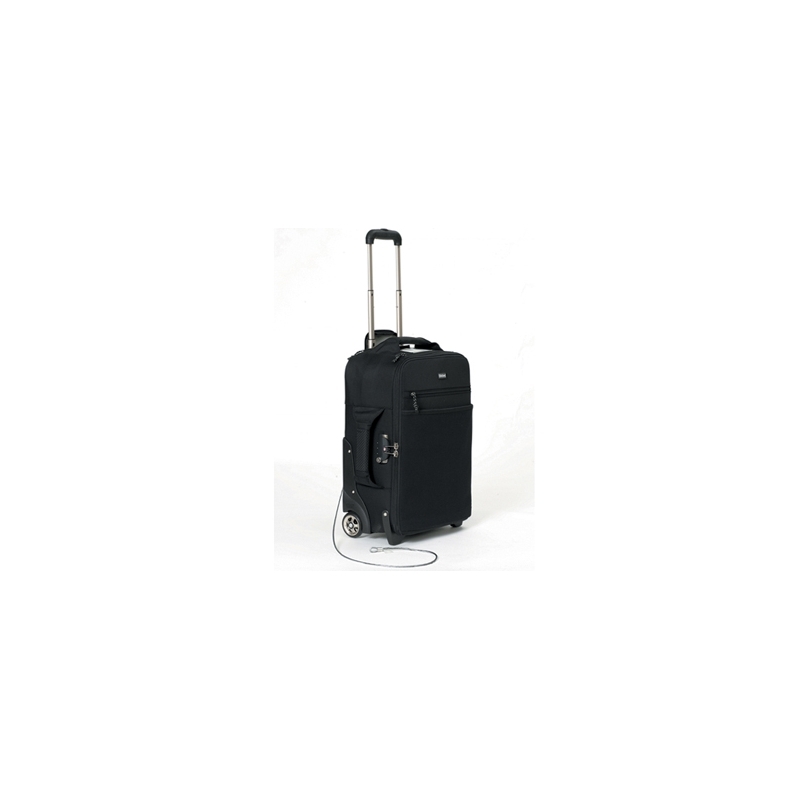 The perfect roller for traveling both US domestic and overseas, it's compact yet spacious and fits in overhead bins on most international flights. 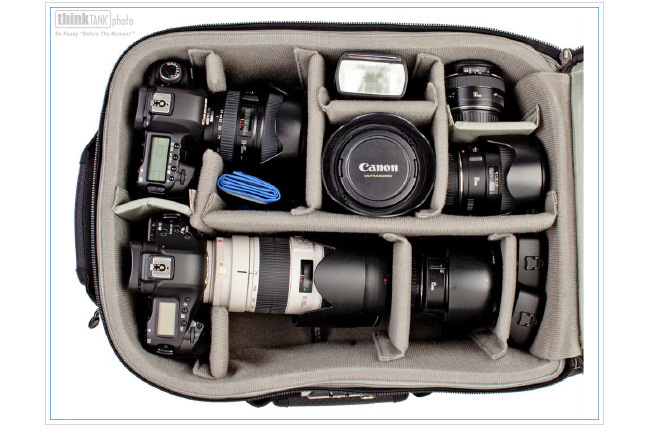 * The Airport International V2.0 is a real workhorse with room to carry 2-3 gripped DSLR bodies (unattached), all of the standard lenses and other gear a professional or semi-professional photographers may need while working on-location. 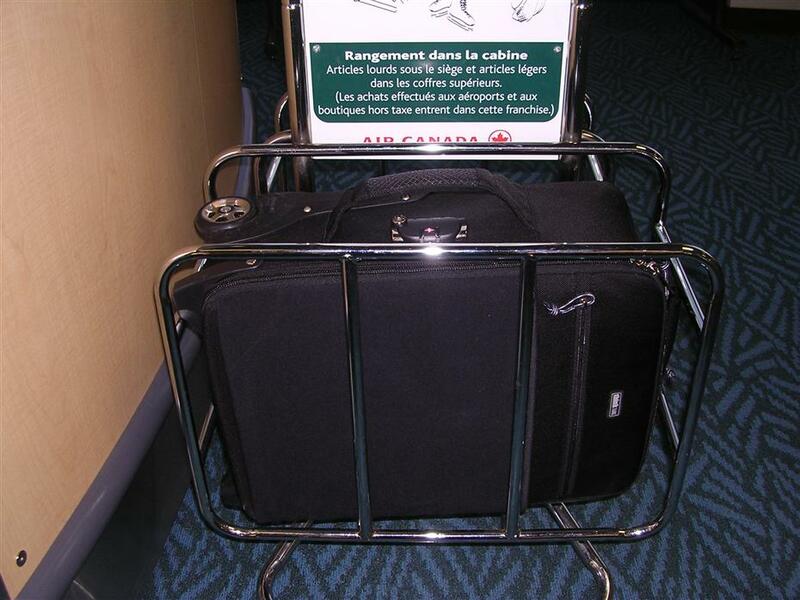 International and US carry-on size for most carriers. DO check with your airline carrier for current requirements. A TSA combination lock secures the main compartment zipper. There are many instances when photographers must leave behind some or all of their gear while on location. 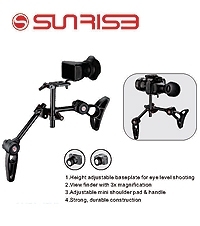 It is absolutely vital for the remaining gear to be secured from theft. The rear security cable prevents the entire bag from being stolen altogether when the cable is locked around an immovable object. The rear security cable literally chains the Airport International V2.0 to immovable objects. At times, it may be necessary to leave gear for a period of time in a media room, wedding hall, hotel room, or other open area. Locking the bag's main compartment, then locking the rear security cable to a fixed object can prevent the bag and its contents from being easily stolen. 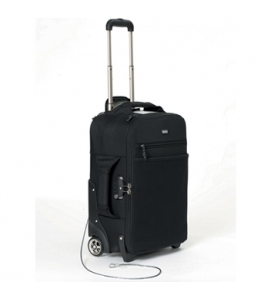 A small TSA travel padlock is included for convenience but any padlock is compatible with the cable. Exterior: For superior water-resistance, all exterior fabric has a durable water-repellent (DWR) coating, plus the underside of the fabric has a polyurethane coating. It also has 1680D ballistic nylon, YKK® RC Fuse (abrasion-resistant) zippers, custom designed extra tall skid plates, replaceable in-line skate style wheels, antique nickel-plated metal hardware, SpanKodra front pocket, nylon webbing, 3-ply bonded nylon thread. Interior: 210D silver-toned nylon, polyurethane backed Velex liner & dividers, 2x polyurethane coated nylon 210T seam-sealed rain cover, closed cell foam & reinforced PE board dividers, clear mesh pockets, 3-ply bonded nylon thread.